Some people call it the iPod of smart home technology. I call it iWant. Sure, the iWant has been used before relating to anything Apple, and this isn't an Apple product - but it reminds me of the awesome technology that's out there now, but this is for your home.. It's called the Nest. 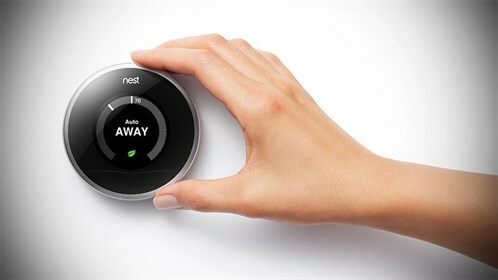 The Nest is an Internet-connected thermostat that claims to learn its owners habits and configure the house's cooling and heating patterns more intelligently. The result is a more energy efficient home and, as the company says, lower utility bills. It's not the first smart energy management product to hit the market, but it is among the sleekiest and easiest for everyday consumers to understand and use. The Nest seems to be doing well too. They just closed on an $80 million round of funding. They are shipping 40,000 - 50,000 units every month. I have several friends that swear by this. You can control it with your smartphone via WiFi and they do claim energy-savings. The initial cost, like with most new technology is a bit pricey ($199 for a 1st Generation Model), but I'm constantly monitoring the costs and will buy one eventually.